This spectacular penthouse condominium is well appointed with all the comforts of home. Each bedroom is large and comfortable. Two of the bedrooms have king beds and private baths. The third bedroom has 2 twins and a trundle bed (a twin bed with another twin bed that rolls out from underneath). The modern kitchen has everything you need to prepare meals as well as granite counter tops and a dining table that can seat eight people. There is a 100 yard walk back to the property from the base of the Thunderhead Lift, or guests may choose to ride the complimentary ski shuttle. Scandinavian Lodge also has and community grills and lounge, outdoor heated pool, hot tub, and sauna. And to end your day perfectly the private balcony offers endless views of the south valley. Nestled high alongside beautiful Mt. 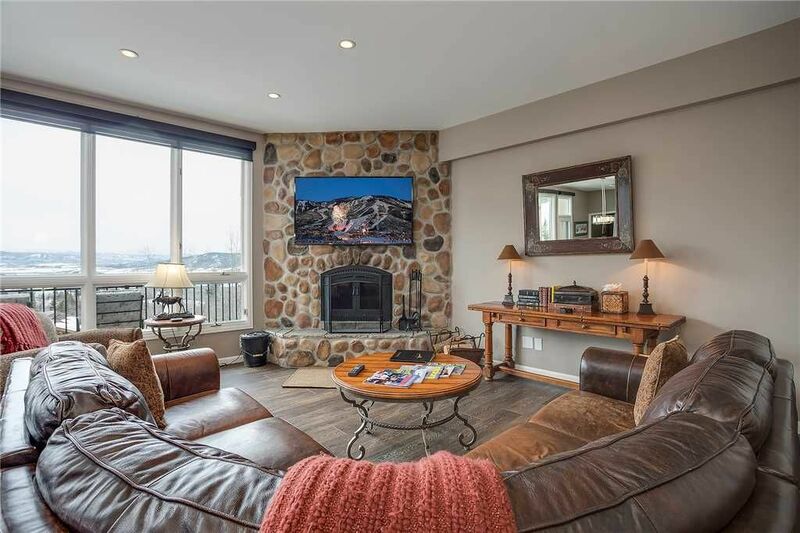 Werner, the Scandinavian Lodge Condominiums offer easy access to the Steamboat Ski Area's legendary powder at a point several-hundred feet above the hustle and bustle of the ski area base. A quick, complimentary, winter-only shuttle whisks you from Scandinavian Lodge directly to the Thunderhead chairlift, which transports you straight to the same mid-mountain location accessed by the gondola. As the only condominium complex in an exclusive neighborhood of multi-million dollar homes, Scandinavian Lodge offers both a tranquil setting and spectacular views.